U.S. Secretary of Defense Dr. Ashton Carter is on an official visit to India at the invitation of Raksha Mantri Manohar Parrikar from April 10-13, 2016. 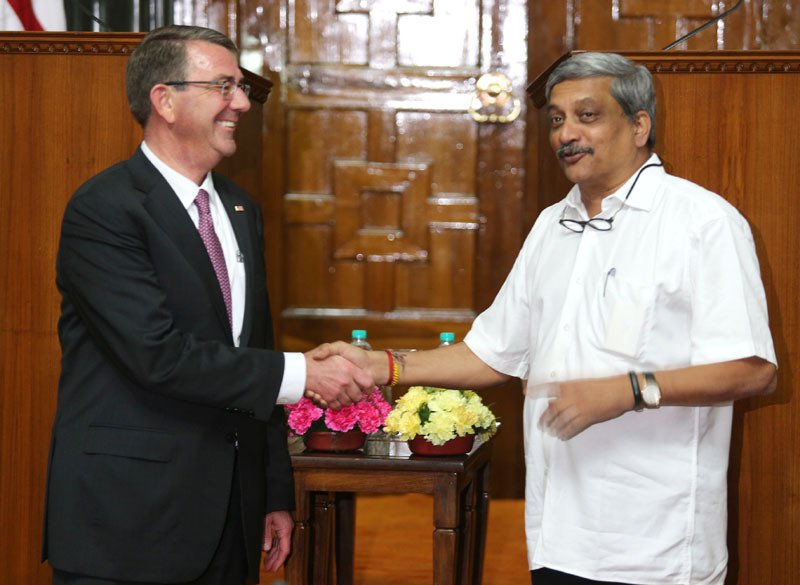 Raksha Mantri hosted Secretary Carter in Goa. They visited the Indian Naval Base in Karwar and the INS Vikramaditya aircraft carrier. They also visited the USS Blue Ridge which was conducting a port call in Goa during the Secretary’s visit. Secretary Carter then traveled to New Delhi for official talks with Raksha Mantri. He will also meet the National Security Advisor and the Prime Minister. The United States and India share a deep and abiding interest in global peace, prosperity, and stability. Bilateral Defence cooperation is a key component of the strategic partnership between India and the United States.Secretary Carter’s visit marked the fourth meeting between him and Raksha Mantri Parrikar within a year, demonstrating the regular Ministerial-level oversight of the robust and deepening bilateral Defence relationship. USAF F-15C Eagles from Elmendorf AFB, Alaska and Indian air force MIG-27 Floggers fly together over the Indian landscape.IAF courtesy photo, Wikipedia Commons. Troubles, They come in Battalions is the latest report by the Carnegie Endowment for Peace on the Indian Air Force (IAF). The substance of the report is divided into five sections, dealing with the supposedly aggravating threat environment, a worsening internal situation of the air force with falling numbers, and finally looks at the three categories of fighters the IAF wants to induct – heavy, medium and light. Assessing the threat environment Dr Tellis points out that the Indian Air Force has traditionally always had an edge over the Peoples Liberation Army Air Force (PLAAF) in the high-end spectrum. This however is changing with the PLAAF’s high-end component alone, set to exceed the total strength of the IAF. This imbalance is exacerbated by the presence of a large fleet of UAVs for persistent surveillance and cruise missiles for saturation attacks on Indian targets capable of overwhelming Indian air defences. He also points to the strength of China’s aircraft design and production and the Indian leaderships lack of attention to air warfare. He does however point out some weaknesses in PLAAF infrastructure as well as the need to keep large reserve forces given the several adversaries China faces across its periphery – meaning the full force of the PLAAF probably cannot be brought to bear against one adversary. He then goes on to survey the Pakistan air force and assess what India will be up against in a 1.5 and 2-front war, settling on a 60-squadron air force to comprehensively combat both adversaries or a 42-45 squadron air force in an environment with more limited aims. The second part of the report goes into the usual rants about the acute numbers shortage the Air Force is facing, putting this down rather crudely to the mismatch of defence needs and the defence budget. The usual arguments are regurgitated – how current force numbers are much lower than it appears on paper, money is not being sanctioned for new projects and how unforeseen expenditures like One Rank, One Pension (OROP) have taken a further toll. It does however acknowledge how much of the problems stems from India’s own internal problems and the inability of the higher defence management system to plan systematically into the future. This leads into the IAF’s own logistic problems of an excessively diversified Air Force of far too many fighter and support aircraft varieties. After a prolonged delay, the Ministry of Defence (MoD) released the revised Defence Procurement Procedure (DPP) on March 28, 2016.1 The document, coming into effect from April 01, 2016, is applicable to all projects which would be given in-principle approval (or the Acceptance of Necessity (AoN)) thereafter.2 It is, however, to be noted that the released document is not a complete one, as a key chapter on strategic partnership and all the relevant annexures, appendices and schedules are still a work in progress and are expected to be released later as part of the comprehensive DPP-2016. Nonetheless, the revised document, the first under the Modi government, has set the tone for a new procurement regime with a clear intention to boost the ‘Make in India’ initiative in the defence sector, and to speed up the procurement process. While articulating the new features, DPP-2016 draws heavily from the report of the Committee of Experts set up by the Modi government under the chairmanship of Dhirendra Singh, to suggest a policy framework for facilitating ‘Make in India’ in defence and further streamlining the procurement process. Among others, DPP-2016, running into 100 pages, envisages an array of features that include: a preamble to the document which articulates the peculiar nature of defence acquisition and the imperatives of self-reliance in defence production; a brand new procurement category, favouring purchase of locally designed, developed and manufactured products; higher yet flexible indigenisation content requirement in the existing ‘Buy (Indian)’ and ‘Buy and Make (Indian)’ procurement categories; a comprehensively revamped ‘Make’ procedure; an institutionalised set of steps for processing the request for information (RFI); and certain measures to deal with procurement in single-vendor situations. This Special Feature analyses some of the key provisions of the new procurement document. 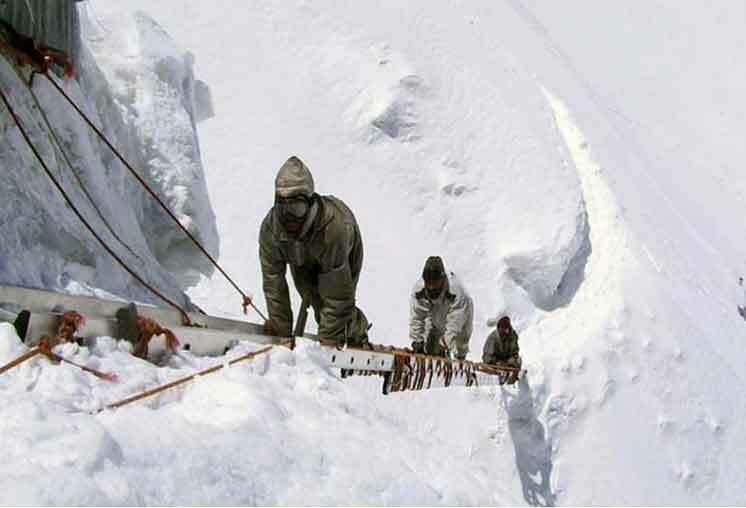 In April 1984, the gallant soldiers of the Indian Army, by establishing their writ over the Siachen Glacier, accomplished a feat of valour that has no parallels in the annals of the military history. Colonel Narendra Kumar, a reputed mountaineer and Commandant, of the Indian Armys’s High Altitude Warfare School (HAWS) came across a map in the possession of a German rafter, in 1977, which showed a dotted line joining NJ 9842 to the Karakoram pass thus depicting that the India-Pakistan boundary line ended at NJ 9842. With great energy he launched a couple of expeditions from 1977 onwards and unearthed the Pakistani plan to control the territory. Pakistan had already taken the first few steps by opening the area to mountaineering expeditions by civilians and was inching towards gaining military control. It was under these circumstances that Operation Meghdoot was launched on 13 April 1984 to establish control over Indian territories in the icy heights of the Siachen Glacier. The plan was based on maps, photographs and videos provided by Colonel Kumar. In an unimaginable feat of grit and bravery the Indian army gained control over the dominating heights on the main passes of the Saltoro Ridge, Sia La and Bilafond La in a short period of time. One is not quite sure, given the dissonant and discordant voices emerging from Pakistan, as to whether our search for a peaceful way forward has once again been completely stymied or has just hit another speed- breaker. Time, and actions by the Pakistani establishment, will tell. The fact, however, cannot be disputed, whatever spin the opposition may like to put, that Prime Minister Modi made a genuine and path breaking attempt to get the dialogue jump started. Let us also not forget that Mrs. Indira Gandhi despite holding 92000 prisoners of war was unable to carve out a more favourable accord at Simla to end the Kashmir imbroglio. If dialogue has indeed been stalled, as the Pakistan High Commissioner has stated, then Pakistani motive is incomprehensible given that Mr. Modi would have been attending the SAARC summit to be held there in a few months from now. Certainly such an action would put a question mark on Mr. Modi’s willingness to be seen interacting with a political establishment that obviously has little control over issues that matter. If that were to happen, there seems little possibility of the Summit being taken seriously, becoming no more than just another talking shop. 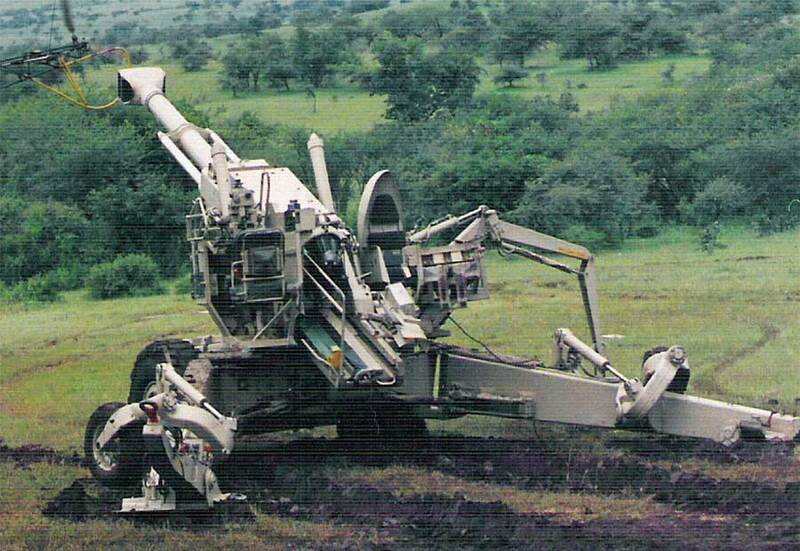 Is Transfer of Defence Technology an undesirable route for India? Despite considerable thrust in that direction, albeit with an understandably limited budget, progress towards self-reliance in defence technology has not reached the milestones that were set. The geopolitical faultlines of the Middle East are always difficult to traverse, even for great powers, as the United States has found to its considerable cost. Today, the Obama administration is desperately trying to reduce its equities in a region that has been in perpetual turmoil, partly due to external interference and partly due to internal contradictions. This has led to an even greater regional turmoil in the process. Enter China. In an attempt to gingerly probe its ability shape a new regional order, Chinese President Xi Jinping’s visit to Iran, Egypt, and Saudi Arabia earlier this year was aimed at gaining greater political and economic salience in a region where Beijing has been reluctant to get involved so far. But as the balance of power in the region unravels, new equations are emerging and older paradigms are no longer sufficient. Indian Prime Minister Narendra Modi was in the region once again recently for his visit to Saudi Arabia, eight months after his visit to the United Arab Emirates (UAE). There have been calls in India that the country should be willing to insert itself in the broader geopolitical dynamic of the region involving Iran and Saudi Arabia. Modi was right to resist that temptation. 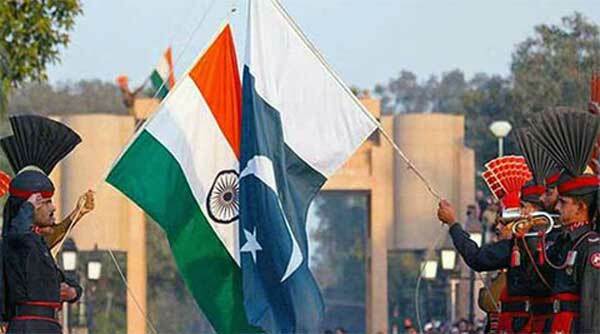 Before New Delhi can do that, it needs to make sure that its vital interests are preserved both in Riyadh and Tehran. 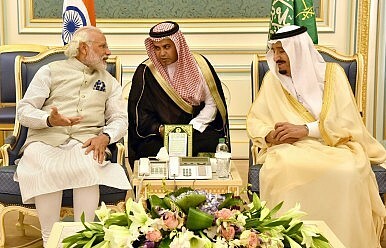 India’s ties with Saudi Arabia have grown significantly over the last two decades based on their burgeoning energy ties and the 2.8 million-strong Indian diaspora in the Saudi kingdom. At a time when Riyadh has been losing its market share with countries such as China and the United States, it has emerged as the top supplier of crude oil to India, supplanting Iraq. Anti-proliferation lobbies in the US and elsewhere, especially in South Asia, should be celebrating US President Barack Obama’s call for India and Pakistan to reduce their nuclear arsenal. Their celebrations should stop there, however. Instead, they should all be telling the US where to begin, and what all not to jump. It’s anybody’s guess why Obama chose to mention India-Pakistan nuclear weapons non-proliferation at a news conference at the end of the two-day Nuclear Security Summit (NSS) in the American capital of Washington, DC. 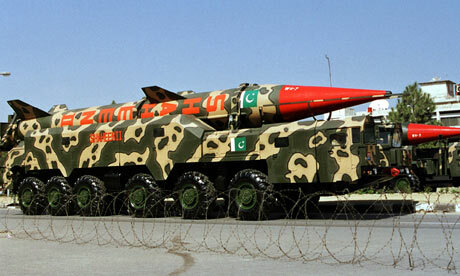 Nations do not discuss their n-weapons programme, and their ‘military doctrines’ in public. The US and Russia, the two nations that Obama mentioned as those that had to reduce their n-arsenal, have not done so. It’s equally unknown, how and why the non-proliferation aides and advisors of the American President did not refer to the post-Pokharan II Indian concerns about China being the (main) nuclear concern. Americans were believed to have been behind the ‘leak’ of then Prime Minister Atal Behari Vajpayee’s confidential missive to President Bill Clinton. Afterward, then Defence Minister George Fernandes acknowledged that China was the ‘potential (nuclear) threat number one’ for India. The fourth nuclear security conference held at Washington under the chairmanship of American President Barrack Obama and attended by heads of 50 countries including the Indian PM Shri Narendra Modi on 01 April, was definitely an eye opener for these leaders specially the live threat from the Jehadi Dirty Bomb. The item which made these world leaders sit up straight in their seats and gasp was the short film which showed jehadis flying a crop duster light aircraft spraying deadly radioactive material extracted from radiological equipment found all over the world causing horrific sickness and death among the citizens. However this is nothing to the type of threat India faces from the combination of state and non-state actors from Pakistan and their dirty bomb. With the Taliban’s declaration of their usual “Spring Offensive” for the year, Afghanistan’s fighting seasoning is about to head into full swing. 2015 marked a turbulent year for both the Afghan government and security forces—who faced their first full year as the primary guarantors of Afghan security following the end of U.S. and NATO combat operations—and the Taliban, who underwent their own leadership transition. In the meantime, the Islamic State expanded its presence in the region, beginning 2015 by declaring a shura, or leadership council, for what it called Khorasan Province, using an an old Arabic name for roughly the territory occupied by the modern states of Pakistan, Afghanistan, and parts of Tajikistan. It’s been no secret that the Islamic State and the Taliban haven’t gotten along. Last year, the Taliban released a statement suggesting that “The Islamic Emirate [of Afghanistan] does not consider the multiplicity of jihadi ranks beneficial either for jihad or for Muslims.” Shortly after that statement was released, the Taliban announced that its leader and Amir al-Muminin, Mullah Omar, had been dead for two years, sparking a leadership struggle that splintered Taliban ranks to this day. After the dust settled, the largest Taliban faction ended up under the command of Mullah Akhtar Mohammad Mansour, who was once Omar’s right-hand man and largely pulled the group’s strings from behind the scenes after Omar’s death in 2013. The trend particularly highlights how highly coveted and vulnerable advanced food technology secrets are, particularly in China where 1.36 billion of earth’s roughly 7 billion person population lives, Reuters said. However, while the Chinese government has indicated it wants to be a leader in the biotechnology world, there is also evidence to suggest this may be stymied by Chinese consumer wariness about the yet unknown problems that could stem from the consumption of genetically modified food. Since the beginning of this year, China has deployed surface-to-air and anti-ship missiles, as well as fighter aircraft, to Woody Island, a part of the Paracel Island chain in the South China Sea. These actions are stepping stones for China to dispatch missile batteries and jets to the more geopolitically significant Spratly Island chain. Now, there is growing concern that Beijing may declare an air-defense identification zone in the South China Sea. Left unchallenged, the Chinese are on track to create “mini denial zones” and bring greater coercive force to bear against neighboring Southeast Asian states. If current trends continue, the South China Sea will be a “Chinese lake” before 2030. Rollback of Chinese gains in the South China Sea is not a viable policy option—the island building is a reality and, short of force, there is little Washington can do to make China withdraw from features it occupies. Thus, Washington must focus its efforts on preventing Beijing from expelling another claimant from a contested territory. One component of U.S. strategy should be the expansion of military assistance programs for Southeast Asian partners. Littoral Southeast Asian states badly need maritime domain awareness capabilities, coast guard and naval vessels, and coastal defenses, as well as additional training to fend off Chinese maritime coercion—all of which the United States can provide. Taiwanese of all stripes were aghast this week after eight Taiwanese nationals were among a group of Chinese citizens forced onto a plane to China last Friday. It is not known why Chinese authorities sought to have the Taiwanese extradited to China; the eight had been cleared of charges of telecommunications fraud by a court in in Kenya. The incident, which Taipei has described as “illegal abduction” and “uncivilized action,” raises serious questions about Chinese extraterritoriality and the “one China” policy. The eight nationals in question were among a total of 37 individuals — 23 of them Taiwanese — who were acquitted of fraud in an April 5 Kenya High Court decision and were given 21 days to leave Kenya. One of the eight is reportedly a Taiwanese-American. The remaining 15 Taiwanese were put on a plane to China on Tuesday, also in defiance of the court order. Chinese officials in Kenya reportedly pressured Kenyan authorities to send the Taiwanese nationals to China. 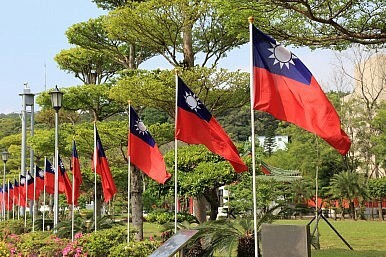 Taiwanese foreign ministry officials dispatched from South Africa (Taiwan has no official diplomatic relations with and no representative office in Kenya) have been denied access to the Taiwanese individuals, and reports indicate that submachine gun-wielding Kenyan police used tear gas to subdue the Taiwanese who resisted deportation. Kenyan authorities had also told the Taiwanese that their government had bought them tickets to return home, which turned out to be a lie (see an undated letter by detainees expressing fears of being sent to China). Bangladesh’s largest Islamist party Jamaat-e-Islami continues to be a potent force despite being weakened politically largely due to its economic prowess. Jamaat won eighteen seats in 2001 parliamentary elections while the number came down to just two in 2008. The party’s influence over the predominantly Muslim society of Bangladesh can not be ascertained from the number of seats it secured in the successive Jatiya Sangsad polls. The radical Islamic group operates diverse organisations like banks, real estate and insurance companies, educational institutions, medical care facilities, coaching centres, transport and tourist enterprises, media outlets, publication houses and charities. Some of the leading Jamaat- affiliated institutions include: Islami Bank Bangladesh Limited (IBBL), Social Islami Bank Limited, Ibn Sina Trust, Agro Industrial Trust, Far Eastern Life Insurance Company Limited, Takaful Insurance Company Limited, Keori Limited, Coral Reef Properties Limited, Retina, Panjeri Publications, Fouand al-Khateeb Charity Foundation, Al Hera Samaj Kalyan Foundation, Diganta Media Corporation, Daily Sangram, Education Aid, Darul Islam Centres, Manarat International University, International Islamic University Chittagong, Darul Ihsan University, Rabita al-Alam al-Islami Bangladesh, Allama Iqbal Sangsad, Al-Mutada Development Society and Centre for Strategy and Peace Studies. Terror Threat Weighs on U.K.
LONDON—A trip to the U.K. last summer by a suspect arrested in the Brussels and Paris attacks, Mohamed Abrini, served as a reminder about the degree to which the U.K. is vulnerable to similar terrorist atrocities. With Islamic State’s external operations unit explicitly targeting Britain for aiding the U.S.-led coalition against the extremists in Syria and Iraq, officials privately say it is a matter of when, not if, terrorists get through. Senior British security officials also note the continuing threat from al Qaeda against the West. But the U.K.’s long experience in dealing with terrorist threats and relatively restrictive gun laws, among other factors, provide some protection, officials and other experts say. Mr. Abrini, who was arrested in Brussels last week, visited Birmingham, Manchester and London during a roughly weeklong trip in June and July, according to people familiar with the matter, as previously reported. They said authorities believe Mr. Abrini, who they suspect had recently been to Syria, may have been scoping out possible attack targets. The U.K.’s most senior counterterrorism police officer, Mark Rowley, said last month that officials had discerned a shift in Islamic State’s tactics. He said the group wanted to inflict an “enormous and spectacular” terrorist atrocity in the U.K., potentially carried out by people trained to a paramilitary level, whereas previously the plots they had seen had focused on more lone-wolf style attacks. In January of this year, an internal ISIS memorandum on the group’s finances was leaked to the public. In it, ISIS revealed it was cutting the pay of its soldiers substantially. In 2015, ISIS’s fighters were being paid between $400 and $1,200 per month, depending on their seniority and their job. The leaked memo said ISIS was going to cut its fighters’ salaries in half. In the months since the memo leaked, there have been reports that ISIS isfacing defections over the pay cuts. Reports of ISIS defections are nothing new, and in the past have led to overly optimistic assessments of ISIS’s strength, but this is the first time the reports have been accompanied by hard evidence that ISIS can’t make payroll anymore. The reports of ISIS’s financial difficulties coincide with significant losses of territory for the group. The Iraqi Army retook Ramadi in February; in March, Syria’s army retook the ancient city of Palmyra. There are a number of reasons for ISIS’s recent losses, including the eighteen-month-old U.S.-led bombing campaign, the increasing competence of the Iraqi Army and the fact that Bashar al-Assad’s forces are finally fighting ISIS rather than ignoring it. But it seems clear from reports on the scene that one of the factors is ISIS’s financial troubles. 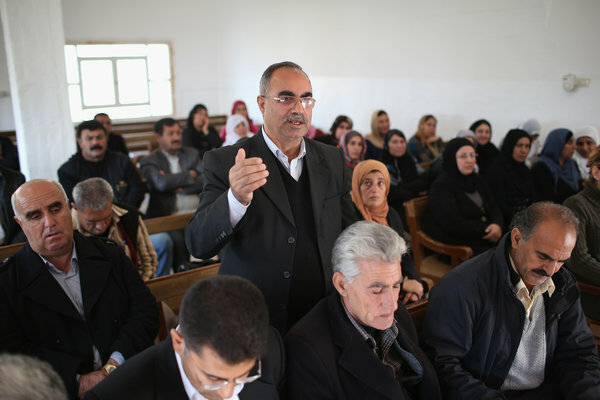 This area is called Rojava, in the northern part of Syria, and despite its frequent description as “Kurdish,” it is governed inclusively by Kurds, Arabs, and the area’s other ethnic groups. Furthermore, its self-defense forces are part of the Syrian Democratic Forces backed by the United States that have advanced toward Raqqa, the center of the Islamic State’s power in Syria. Both in strategic and moral terms, Rojava’s existence is a rare bright spot in this conflict. So the exclusion of its representatives from the U.N. process is not only unfair, but makes no sense if the aim of the talks is to establish a viable path to democracy in Syria. Should the FBI and Other Law Enforcement Agencies Have to Get a Warrant Before Conducting Covert Aerial Surveillance Over American Cities? A U.S. Navy officer charged with spying for a foreign power worked at one of the service’s most elite reconnaissance squadrons, whose operations are shrouded in secrecy. Lt. Cmdr. Edward Lin, a naval flight officer, worked for Special Projects Patrol Squadron 2 for a year before being arrested last summer, according to his Navy record. The Kaneohe, Hawaii-based VPU-2 is one of two special projects squadrons that sources say are made up of the fleet’s top maritime patrol officers, who fly the P-3 Orion and P-8A Poseidon. Next week’s U.S.-GCC summit in Riyadh is the last opportunity for the Obama administration to recalibrate the U.S.-Saudi relationship. While officially a multilateral summit between the United States and the six Gulf monarchies, all eyes will be on President Obama and King Salman. Both leaders will seek to project an image of comity. The photo ops, boilerplate statements and spin surrounding this encounter, however, will belie an increasingly fractious relationship. Relations are unlikely to crumble anytime soon. But unless Riyadh and Washington work toward a new understanding of what each can expect from the other, the pillars supporting the U.S.-Saudi relationship will continue to erode. Saudi Arabia has depended for decades on the United States for external security. It is natural, given this dependence and the asymmetry in power between the two countries, for the House of Saud to fret over America’s security commitments, to seek constant reassurance of U.S. solidarity and to be sensitive to any sign that America is providing less than unconditional support. In its “advisory referendum” on the European Union’s association agreement with Ukraine, the Dutch electorate rejected this foray beyond the EU’s frontiers while manifesting general unease about where the EU is heading. Effectively, this was a vote of no confidence in the EU’s Eastern Partnership, which hatched the ill-fated accord with Ukraine. In conjunction with monetary policy and management of the migrant crisis, the Eastern Partnership completes a trifecta of EU policies which were well intentioned, but poorly conceived and implemented with little appreciation of risks or consequences. 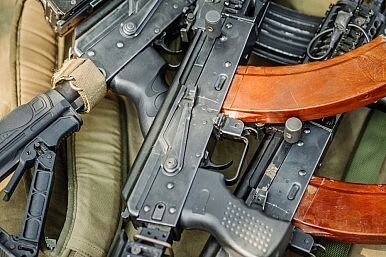 By provoking a violent reaction from Russia, the Eastern Partnership made an intended partner, Ukraine, a victim. The Eastern Partnership was launched in 2009 to broaden political and economic ties with Armenia, Azerbaijan, Belarus, Georgia, Moldova and Ukraine, supposedly “in parallel with the EU’s strategic partnership with Russia.” With each, the EU initiated negotiations for an association agreement plus a so-called Deep and Comprehensive Free Trade Area based on the acceptance by the partners of the bulk of the EU’s regulations and practices. In no case did the EU accept practices from the partner countries; the concessions were entirely one-way. The defense reform agenda has suffered from competing visions and ever-increasing scope. From Base Closure and Realignment Commission (BRAC) to military compensation to Goldwater-Nichols, “defense reform” has become a catch-all for all that is wrong with the department, making the agenda hard to swallow. But more than that, defense reform too often connotes “efficiencies,” a green eyeshade lens that distances it from the national security mission and imparts anxieties in DOD staff. As a result, defense reform finds many advocates in budget season but few serious implementers. Recent senior leaders have not been able to commit the time and political capital necessary to achieve sustained reform. A retired senior U.S. diplomat diagnoses America’s amnesia and its dysfunctional approach to strategy and foreign affairs. He also offers a cure. Will Washington listen? Editor’s Note: This article is adapted from the author’s remarks to East Bay Citizens for Peace of the Barrington Congregational Church and the American Friends Service Committee on April 2, 2016 in Barrington, Rhode Island. The original speech was publishedat the author’s personal website. Denmark’s official spy agency, the Danish Defense Intelligence Service (DDIS), is creating a training academy for hackers. He added that Academy recruits will spend four and a half months at the school starting in August, working on a range of defensive and offensive techniques. These include counterintelligence (breaking encrypted communications of the enemy) and hacking the networks of terrorists. In many cases, they will have the chance to use methods that would be illegal outside of the purview of government-led programs. “When you have these unique talents, you want to use them and you have very special opportunities in our environment,” Findsen said. At the end of their stint, the best and brightest will be offered positions in the Danish intelligence community. America’s major alliances date back six to seven decades. Washington has been protecting Europe, Japan and South Korea for longer than most Americans have been alive. But that moment passed long ago—actually, even before the end of the Cold War. By the 1960s most of Washington’s Asian and European allies had recovered economically. With serious effort—which one would expect from nations facing serious, even existential security threats—they were capable of at least matching their potential antagonists. As the world moved into the 1980s it was evident that only their own lethargy and stinginess prevented America’s friends from taking over most, if not full, responsibility for their own security. 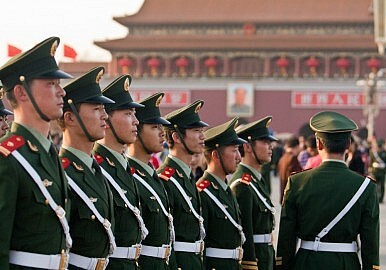 Today it is frankly unbelievable that Washington allows its Asian and European allies to continue cowering behind it. That they prefer not to do more is understandable. But that is no reason for America to do it for them.